BERTRAM AUGUST DAHL JR. was born March 3, 1927 to Minnie and Bertram Dahl. He grew up at 2721 Hayes Avenue in Cramer Hill, a home that his father and grandparents had lived in since the late 1910s. 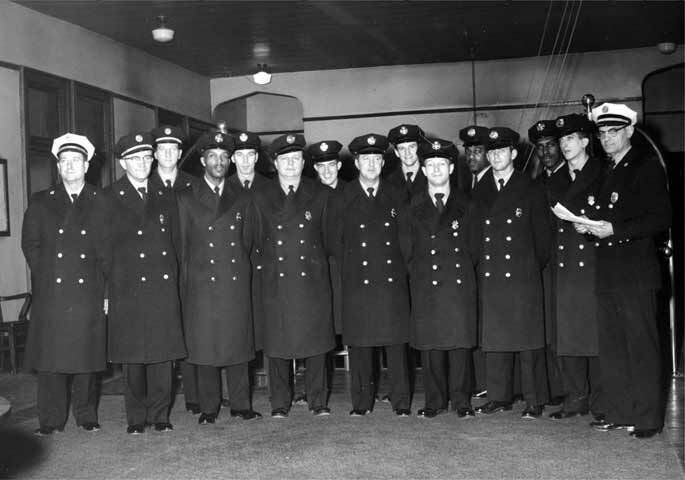 Bertram Dahl Jr., He completed his training and was sworn into the Camden Fire Department in 1959. 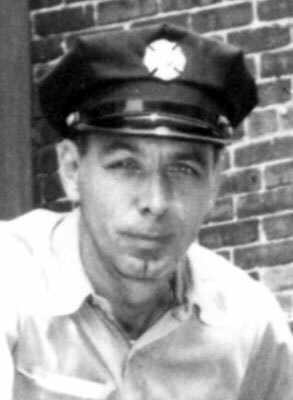 He was living at 1047 North 32nd Street in Cramer Hill by October of that year. Bertram Dahl Jr. was still at that address in the fall of 1977. Bertram A. Dahl lived in Villas, New Jersey at the end of his life. He died on September 14, 2006. 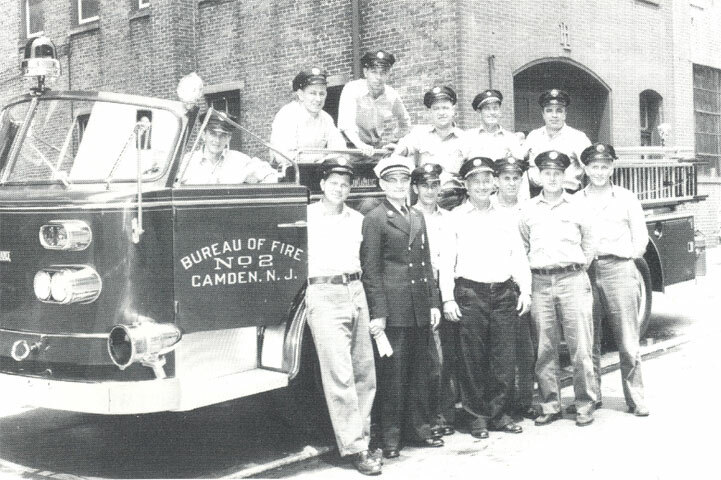 Engine Company 2 with new pumper in front of quarters, 5th & Arch Streets, 1960. Bottom row, from left: Fireman Harrison MacNeir, Chief Edward MacDowell, Fireman James Troutman, Captain Albert Weller, Fireman Charles Devlin, Fireman William Hopkins, Fireman George Hennessey; Top row, left to right: Fireman Francis Stibi, Fireman Robert Briggs, Fireman Bertram Dahl, Fireman Erwin Brennan, Captain Thomas Winstanley, Fireman Anthony Orme.